Make your '15-Current GMC Sierra 2500 and 3500 HD's Hood stand out with this great-looking Hood Graphic kit. 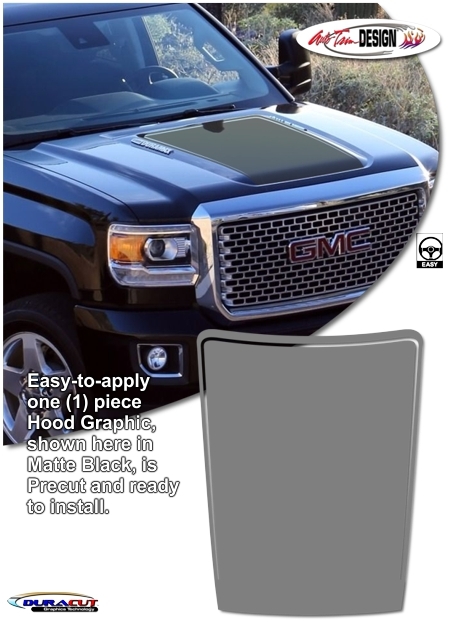 Kit is specifically made for the '15-Current GMC Sierra 2500 and 3500 HD factory Hood and will not fit any other vehicle. Kit is vehicle specific and will not fit any other vehicle model or year range.